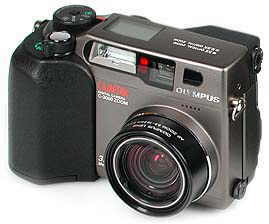 The Olympus C-3000 Zoom is a defeatured C-3030 Zoom. Unlike the latter the C-3000 Zoom has a smaller buffer memory which results in a slower continuous frame rate and shorter movie recording times. The amount of supplied accessories has also been cut down.